If you’re in the accounting profession, chances are you’re getting used to the integration of various forms of technology in the industry, including machine learning, cloud computing, and different forms of automation. Small and large accounting firms alike have begun recognizing the importance of automation as they move forward with modern-day trends in bookkeeping. Though the onset of artificial intelligence (AI) may bring up memories of sci-fi movies and rogue robots, companies are beginning to embrace the value AI brings to their processes, making them more efficient by shifting the allocation of mundane tasks to reduce human error. Artificial intelligence (AI) uses computer systems to perform tasks that typically involve and require human intelligence, like visual and speech recognition, language translation, and decision-making. The most common way we currently see artificial intelligence being deployed is with automation. Businesses seek automation to improve how they allocate their labor hours. Tasks like data entry, emailing, and billing are now automated so that employees can dedicate more time to the operations of the business to allow growth. As machine learning and AI-assisted accounting continues to serve multiple industries and demonstrates significant returns on investment, business owners are more open to automating their processes than ever before. What Will Change for the Role of an Accountant? We know an accountant’s responsibilities fall on a rather wide spectrum for any given business. Accountants manage and perform the financial functions of your business, including collection, record keeping, analysis, and verification for accuracy with regard to your organization’s financial operations. But wait, there’s more! Accountants may also be responsible for data entry and reports. They can hold roles as advisers and interpreters, while also dealing with a company’s vendors, customers, and their respective financial institutions. Long story short, accountants can perform simple bookkeeping responsibilities, all the way up to advising senior staff and decision makers as they interpret financial information. How will AI shift the future of accounting? What we’ve observed so far is that accountants have automated their processes to become more available to their clients in the form of diversifying their accounting services, increasing their accessibility, and providing more strategic advice. It is ironic, but in an industry that involves service along with financial and regulatory expertise, artificial intelligence and automation increase the human interaction with clients while reducing human error. It represents a shift that includes a mutually beneficial relationship between software and the services of an accountant. While we have established that automation can equal more face time with an accountant, we should acknowledge that some of the roles within an accounting firm might see reductions and possible eliminations in the future. The roles we are referencing are those in the junior staff. Junior staffs typically maintain financial records, analyze balance sheets and general ledgers, and then reconcile those accounts. 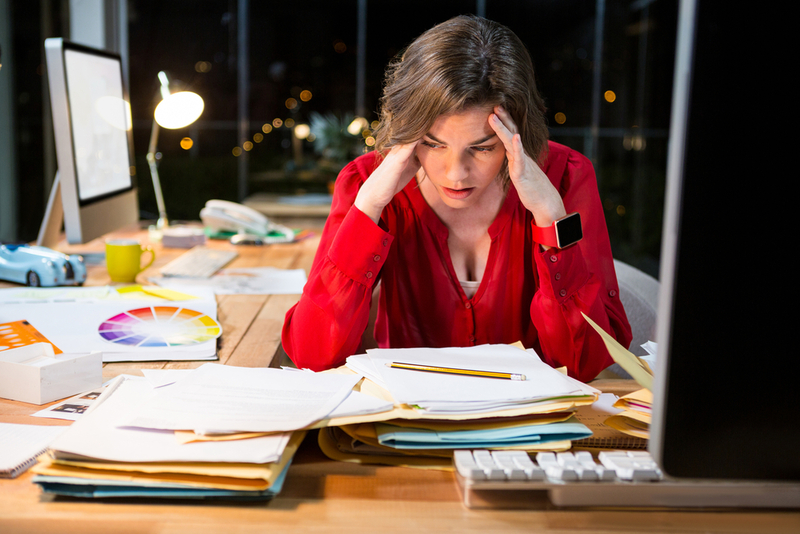 While they may find their workload decreasing as companies turn to AI accounting, this does not have to be a bad omen for their job security. If a company can find a way to embrace AI accounting and position its staff to focus on strategic planning and the growth of the firm, junior staff can take on more of an advisory role to their subsidiary companies and be compensated according to their newer, more personal services. Robo-advisors, automated management services that build and optimize your investments in real time, are already common in the financial industries. In 2017, an Accenture study found that 68 percent of their clients preferred having access to both human advisors and robo-advisors, regardless of their seemingly equal performance. The future of accounting involves expanding AI software services to clients, generating reports, balancing sheets and decreasing the time spent manually inputting data. It also includes the accountant’s ability to seamlessly integrate those financial functions within the day-to-day operations of the businesses they serve. AI accounting is already handling the initiation of payments and matching purchasing orders, automating data entry, and categorizing that data. One thing AI can’t do as well, though, is the interpretation of that data within various contexts. This is where human intelligence is hard to beat, making the integration a best-of-both-worlds scenario. Accountants may take the big data that is generated from the automated collection and analyze broad financial trends more effectively. And if we think about it, that’s what we really need our accountants to do, isn’t it? We want to know more about our projections and our mistakes and gain insight into how we can improve our operations. So, where can we start? Integrating AI for accounting into existing practices begins with looking for processes that show a little redundancy or bureaucracy. When accountants can leave the numbers to bots, they can spend more time on business-management roles and strengthening their client relationships. While the future of accounting will no doubt be shaped by AI and ML, the main point to call out is that automation is no longer a fancy option; it's a must for those accountants who want to remain relevant. Businesses, both small and large, will be searching for accountants who have leveraged technology and automation to become more specialized in their fields along with their rapid response times to the financial functions they perform. If accountants choose to embrace artificial integration despite concern that it will change their business model or be too costly of an upfront investment, they will be the ones who find the most success with this shift. Adapting to modern practices is key for a prolonged future of accounting. 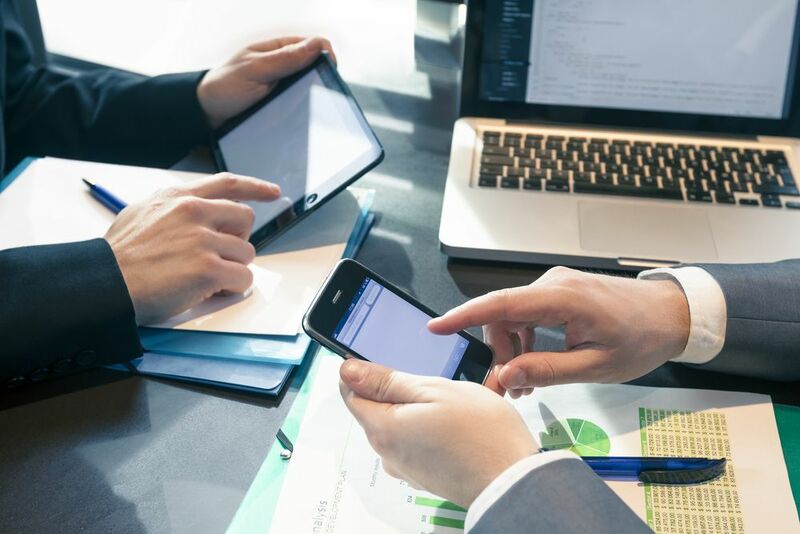 To provide an idea of how inevitable these changes are, research from Gartner predicts that by 2022, 80 percent of smartphones will have on-device capabilities, some of which could significantly impact the future of accounting. Technological advancements will include features like optical character recognition (OCR) technology, which can provide some amazing Al accounting support like reading receipts, then inputting that data into accounting software on the go and effectively categorizing the purchases while placing them into general ledgers. Smartphones may also recognize that a person is driving and prompt the driver to make a mileage claim. These are the kinds of features that allow a more hands-on experience for business owners and employees while reducing the “number-crunching” work of the accountant. As this technology learns the behaviors and trends of the users, data input will continue to become more refined and produce a vast amount of reports to which an accountant can refer. Because of the time devoted to data analysis, an accountant can interpret the reports and spend his or her time providing clients with more sound business solutions. He or she can also more quickly identify deviant behaviors, improper spending, and other non-compliant decisions that need to be addressed right away. Today, universities already incorporate information technology (IT) and database management courses within their accounting programs. Graduates enter the workforce with skills built for the future of accounting, while current accountants find seminars, online courses, and workshops to acquire those same skills. Instead of worrying that AI accounting is taking over their roles, accountants can welcome the advancements in technology as a supplement to their role that allows them more freedom to provide business solutions, consultations for tax filings, growth options, inventory control, operations reviews, financial projections, and more. If we only consider how accountants are embracing automation within their own firms’ practices, we miss the mark on why it is important to continue to embrace AI for accounting as a whole. For one, businesses will no doubt begin to demand more from their bookkeeping partners. Firms embracing this technology, and thus providing better service and better response times, will lead the industry as others fall behind. The other key point in having so much integration is in allowing both parties to contribute to the future of accounting. While it certainly benefits an accounting firm to reduce the time it takes to complete bookkeeping tasks, what’s more beneficial is AI accounting integration with other platforms that the organization already uses. Ready to start taking advantage of tech and AI with your own bookkeeping tasks? That’s where Botkeeper steps in. Our software provides bookkeeping assistance using a powerful combination of skilled accountants and automated data entry, alongside 24/7 support and beautiful dashboards to provide extra insight into your financials. 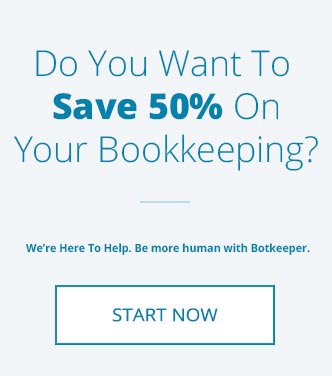 With Botkeeper, we can become your very first bookkeeper, or integrate seamlessly with your accounting team and the existing tools you already use. Want to learn more? 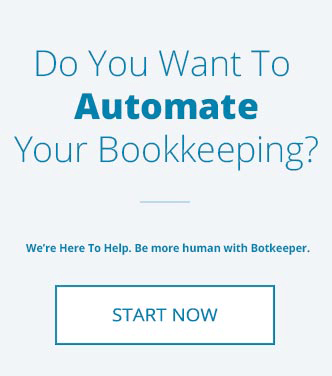 Explore our automated accounting software to see how Botkeeper can improve your business today!